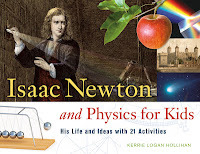 It was my pleasure to meet fourth and fifth graders at Grassland Elementary School in Brentwood, Tennessee, last month to talk with them about Isaac Newton & Physics for Kids: His Life & Times. 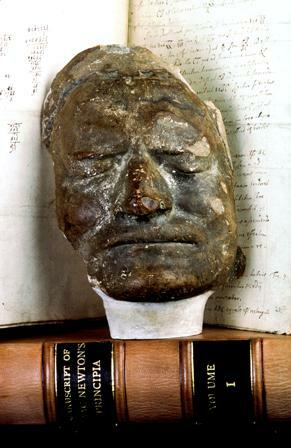 The students were full of questions after my presentation, and a group of fourth grade boys was especially intrigued with my shot of Newton's death mask One student asked about plaster, and now I have a better explanation: Plaster is a paste that is used to coat walls and ceilings -- and to make molds for sculptors and crafters. 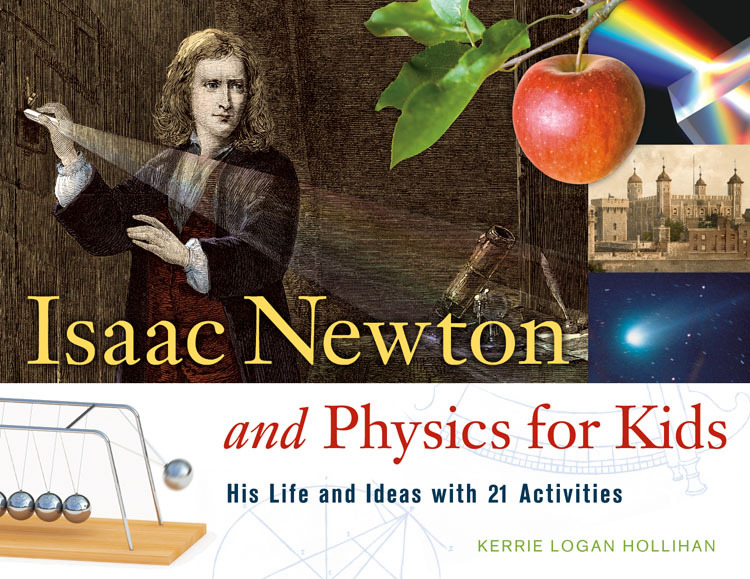 Newton was dead when his mask was cast, but people in the 1700s also had life masks. A French sculptor made a plaster life mask of George Washington before he sculpted a statue of our first president. 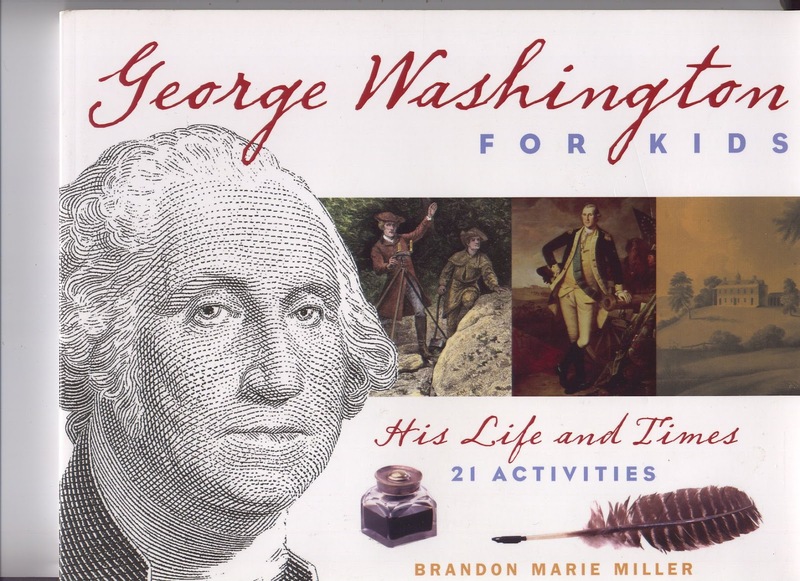 In her book George Washington for Kids: His Life & Times, my co-blogger Brandon Marie Miller developed a mask-making activity. 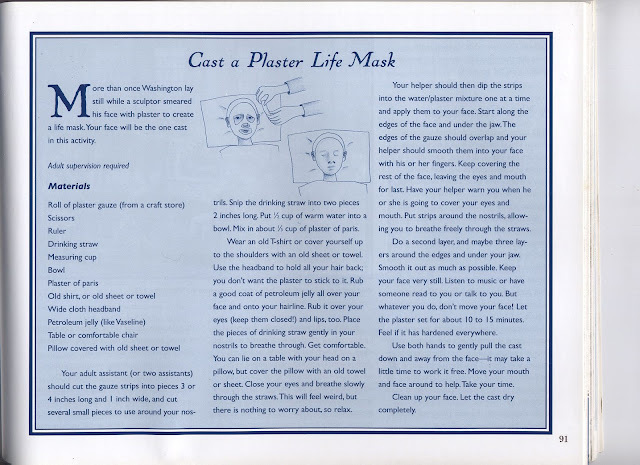 You too can “Create a Plaster Life Mask." Thank you, Brandon, for sharing this wonderful activity with me for today's post. Brandon’s nephew Luke was a very patient model! OK, Grassland Fourth Graders -- HERE'S YOUR CHANCE! Kerrie, we very much enjoyed your visit at Grassland. Thank you for sharing your books with our fourth and fifth graders!